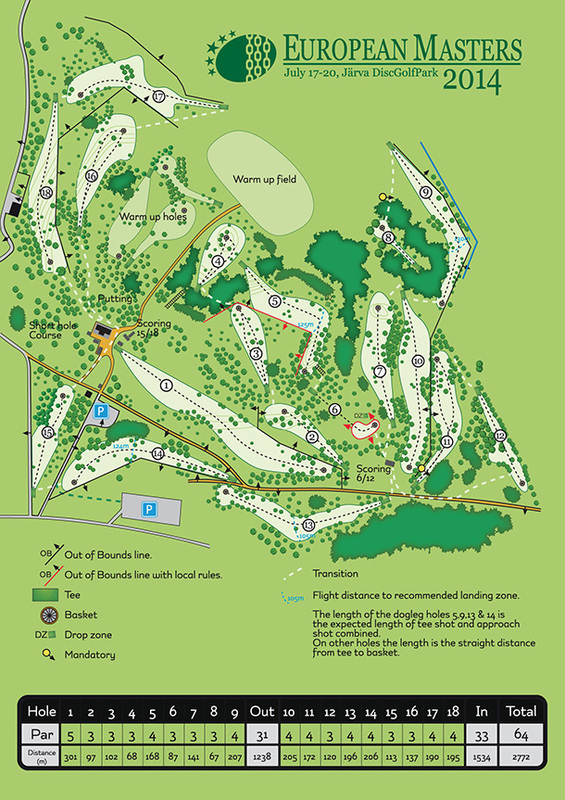 The Järva DiscGolfPark Major layout course map has been published. With total 18 holes adding up to total length of 2772 meters and Par 64, this course will take everything you got. Most of the holes of the Major-layout are regular holes of Järva, with the basket positions set to the most challenging of the variations. The course also features two holes that are not in the normal layout of Järva, holes #1 and #11 of the Major-layout. The course features diverse challenges and demands a broad skill set from the players. The Major-layout was played in Stockholm DiscGolf Open 2012. Some modifications have been made since then. View the course map below or click the picture to view a full version. View full (2,0Mb) version – click the picture.